No Need To Stand Up For National Anthem Played During The Movie In Theaters; Confusion Gone! 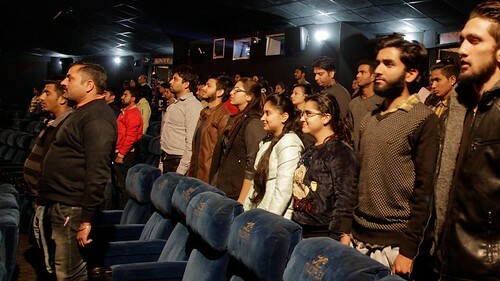 The Supreme Court on Tuesday modified its order that the audience need not stand when the national anthem is played as part of a story line in a film, earlier Supreme Court ordered that everybody must stand while the national anthem is played in theaters. The verdict comes a month after a 59-year-old man was assaulted in a movie theater in Mumbai for not standing up when the National Anthem tune was being played on screen in a scene of the Aamir Khan-starrer Dangal. In 2015, the Ministry of Home Affairs issued a notice that states, “Whenever the Anthem is sung or played, the audience shall stand to attention. However, when in the course of a newsreel or documentary the Anthem is played as a part of the film, it is not expected of the audience to stand as standing is bound to interrupt the exhibition of the film and would create disorder and confusion rather than add to the dignity of the Anthem. “-added by Supreme Court.